There are also those who weren’t born in this country who have noticed the American dream and have become citizens. They have raised families, had careers, and enjoyed the success that hard work and determination will bring in this country. There are many, many who have enjoyed taking advantage of the gifts that come with being an American. And then there are those who are the givers. Those, whom by choice or circumstance, have given their lives to provide the life that all Americans are gifted. An estimated 1,196,554 Americans have died in battle. And those who survived have continued to struggle with physical and psychological effects for the rest of their lives. For those who have returned to our home soil, they are remembered every Memorial Day, honored for a few seconds at a sporting events, and may get a plaque put on a wall somewhere. But for all the other days, hours, and moments, they are conveniently forgotten. They are expected to assimilate back into a culture that wants to forget them, and pretend that the evil forces stay at bay themselves. You may ask what the Bedford Veterans Center does in regards for our vets. You may question why it would be worthwhile to donate to the center. We are thankful that you asked. The Bedford Veteran Center is committed to being there for our local vets whenever and wherever they need. We are there for them when there is trouble and when there is joy. In the darkness of nights and the brightest of days, we offer a helping hand when all else seems hopeless. When Americans forget, we are here to bring vets to the rightful and deserved respect that they have earned. From the beginning of our center, we have been committed to providing needs for vets, such as, providing food every month, connecting vets that need furniture for their homes, finding cars when their’s becomes unsafe or not drive-able. Helping them get connected with their health and financial benefits that they earned. And for those with physical needs, we have installed decks and wheelchair ramps at no cost to vets. 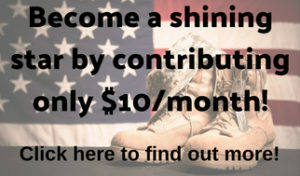 This is our mission: to serve and assist veterans in SE Michigan at any time, in any way. To bring awareness of the needs of local vets to Bedford. And to strive to create new opportunities in the Bedford area for current and future veterans.